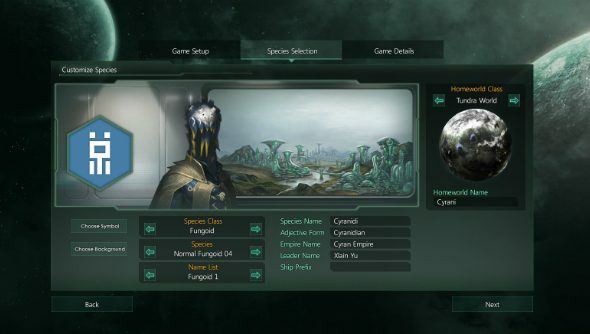 Stellaris developers Paradox Interactive have revealed a host of pre-order benefits including sending your name up into the heavens. Need a list of the best space games to play on PC? We’ve got you covered. Though not quite etched on a golden record and send into the far-flung reaches of outer space, one of the pre-order package bonuses will see the team send you name into the stratosphere on a weather balloon. Other components of the pre-order package include a cosmetic DLC called Creatures of the Void, which adds an additional five alien races to the galaxy, each inspired by community suggestions, for you to conquer or trade with. “These dark, creepy, and twisted creatures include: Hydra/Xenomorph, Evil Porcupine, Dinosaur Bird, Shadowy Anthropoid and Fungoid Infected Mammalian,” says the item description. In an anachronistic flashback to the past, you can also get the Stellaris theme and several sound effects as ringtones and message alert sounds. All of the bonuses will be available once the game releases on May 9, though you have until June 1 to get your Paradox and Steam accounts linked together to get your name to the edge of space. Grab Stellaris here.